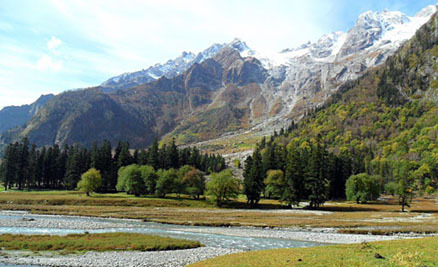 It is one of the most exciting and adventurous trekking destinations in Himachal Pradesh; the quaint and tranquil Kafnu Bhabha valley. 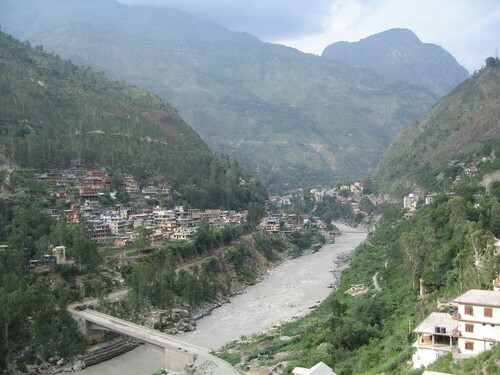 About 50 kms from Shree BhimaKali Ji temple spreads a beautiful valley along Bhaba River which attracts adventure enthusiast from all over India and abroad. 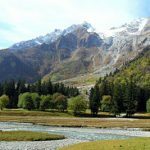 To the east, the Bhaba Valley leads to the Pin Valley in Spiti and to the west, the routes take you to Kullu through the Parbati valley. It holds a serene ambience and landscape, reservoir, lake and alpine meadows and is the base route for famous track route to Pin Valley in Spiti. The place offers some very intriguing treks to adventure admirers along with mesmerizing natural panorama for site-seeing for nature lovers.